A thorough inspection of St Hugh’s was conducted in October by an ISI (Independent Schools Inspectorate) team and the school passed with flying colours, achieving the highest possible grading of ‘excellent’ in all areas whilst also making reference to particular areas of the curriculum as being exceptional. The school also met all the standards within the compliance inspection. The educational quality inspection makes a judgement on the quality of pupils’ academic and other achievements and the quality of pupils’ personal development. The possible grading for each category is excellent, good, sound or unsatisfactory and St Hugh’s was judged to be excellent in both categories. The inspectors remarked that the pupils’ progress is “above national expectations” and indeed “the creative writing of all pupils is excellent and sometimes exceptional”. Reading was highlighted as a “strength” and in Maths, pupils are “numerically agile” and “highly numerate”. On the quality of pupils’ personal development the children were described as “confident and resilient” with “an embedded spiritual awareness” and “a very strong comprehension of a healthy lifestyle”. 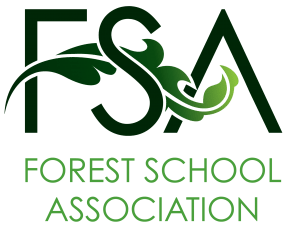 The outdoor learning in Forest School was frequently mentioned and demonstrated “pupils’ initiative, independence and their ability to work collaboratively”.